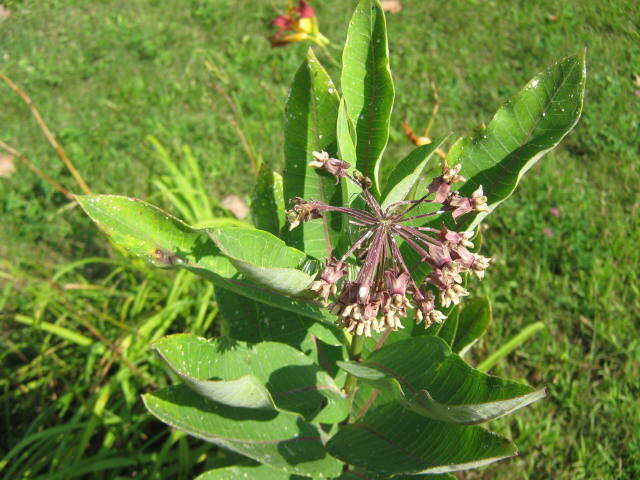 There are more than one species of milkweed in Michigan. Here in our yard we have two different types. 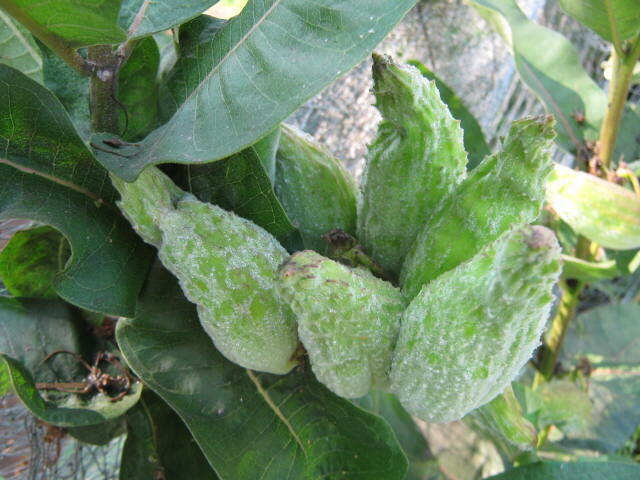 The first one blossomed early in the summer and has large pods growing on it already. The other is a smaller plant that is just finishing blooming this week. The second type has a wonderful fragrance. The other milkweed is just finishing blooming. It also has a different looking growth habit.